For many, updating to the newest iOS on your iPhone is a breeze. New features, new apps, and general improvement across the board. Apple also continually pushes out smaller iOS updates between the major releases to keep your device running smoothly, fixing bugs and patching security flaws. In some rare cases, however, you may run into small hurdles before or after the installation. The good news is that you can do something about the common snags you run into when installing an iOS 9 update. After updating to iOS 9, a small number of users saw an issue where their phone was stuck on a screen with the words “Slide to Upgrade”. The first thing to try if you run into this glitch is to simply do a hard restart of your phone. Hold the power and home button simultaneously for 10 seconds and you will see your device restart. If you keep running into this problem, you may need to resort to doing a full restore on your phone. You will need to go Settings > General > Reset > Erase all Content and Settings or you can do the restore through iTunes. Doing so allows you to setup your phone again and restart from your latest backup. Take a look at Apple’s official how-to as well. 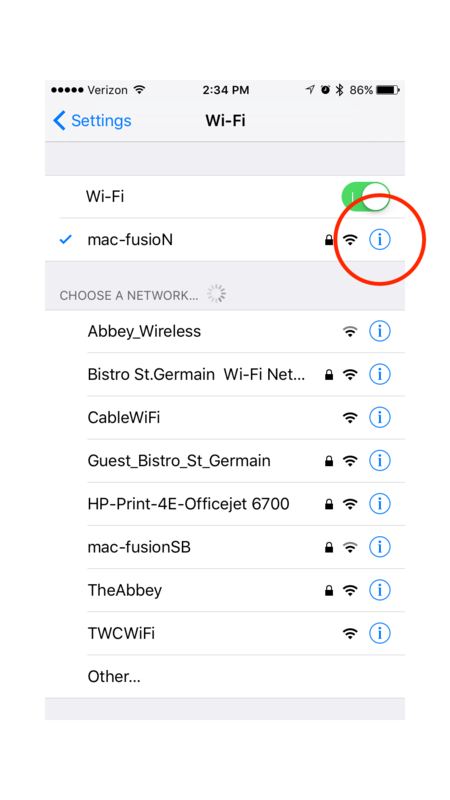 Wi-Fi hiccups have been common in many versions of iOS, and 9 has proven to be no different. First, try and just reset the network you are having problems with. Go to Settings > Wi-Fi and tap on the info button on the network you are trying to use, then tap “Forget this Network.” Set up a fresh connection by logging back into the network as you did the first time. A more drastic solution would be to reset all network settings on your phone. Head to Settings > General > Reset > Reset Network Settings. The process may take a while, and you should know that it will get rid of all of any stored Wi-Fi passwords. If your screen has stopped responding to your touch, the good news is that you can easily restore it. The solution to this problem is to do a reset by holding the power and home buttons down at the same time for about 10 seconds. Your screen should work properly after resetting, but if not go ahead and continue resetting until functionality returns. If you run into this, try re-recording you fingerprint in the Touch ID system. Go to Settings > Touch ID & Passcode > Enter your Passcode and delete all of your old fingerprints by swiping from right to left. Make sure your finger is nice and clean and set up a new print in the system. Cellular data quandaries are seen a little with Apple users updating to the new iOS. To fix cellular data, first just restart your phone by holding the power button, then swiping to turn off. Other solutions involve toggling data on and off. Go to Settings > Cellular > Cellular Data > Toggle Off to try turning the cell data off and on. You can follow a similar set of steps for LTE, or just swipe up from the home screen and tap the airplane. Turning Airplane Mode on for about 30 seconds toggles all data connections off until you leave that mode, which you can do just by tapping the airplane button again. If you run into a problem that is not addressed in this post, please contact us and we will work with you to get it solved right away.